Micheal will be a leader on the 2012-13 team and is heading for a D-1 scholarship. Mike was named to the 2011-12 Foothill Conference second team this year. Michaelyn Scott, 6’2”, 180 graduated from Washington High School in Los Angeles in 2011. Scott was the team captain for the 22-8 league champion for 2011. In addition, Michaelyn was named the Marine League player of the year and first team LA City player in division one. 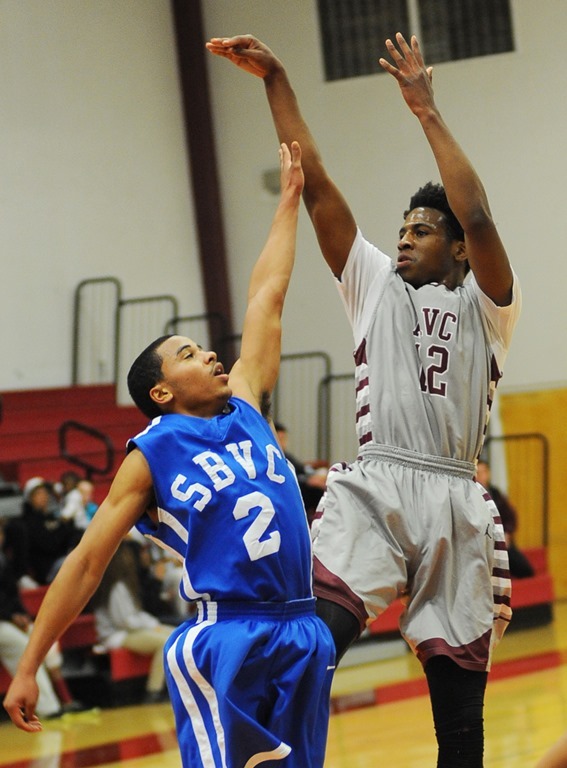 Michaelyn may be one of the most talented guards that AVC has ever recruited. Slashing the middle, mid-range jump shots, 3-point shooter. Potential Unlimited! Mike was the player that the team looked to this summer when they needed a stop or a score. He played the point guard position in the 8 summer showcase games and did well. His role may change with the addition of two players that may play the point guard in certain circumstances. I expect Scott to lead the team this year and have one of the best year of his career. Mike awarded a full ride scholarship to U of Idaho. After two outstanding years with Idaho University. Currently managed by Agent who is negotiating for professional teams for his services. Didn’t take long did it! Former Vandal point guard Mike Scott will be playing in a different venue in 2015-16, as he signed with BC Siauliai of the Lithuanian Basketball League on Tuesday. A true point guard, Scott’s greatest strength was as a distributor. He led the Big Sky Conference with 5.3 assists per game, while his assist-to-turnover ratio of 3.33 was the best in the league and fifth best in the nation. For his efforts, Scott earned All-Big Sky Conference Second Team honors. It’s a beautiful thing at any level in basketball when you bring in that one player that puts you over the top. He gives you something…especially a point guard…that makes the team a champion. In the professional ranks you say, “He was worth every dime” and the coach is wondering if that JUCO(AVC) in California has another pro in the making. Mike Scott only takes one year to move up to the A1 level(Highest basketball level in Europe) in Slovakia. Will he be the first AVC player playing professional in Europe to have a shot at the NBA? Good skill set, size and age for Mike. They have a lot to offer me as the city is beautiful and a great place to live. They placed in second place last year in league that was not satisfactory to them so they brought me in take the club back to the top in Europe. Let’s hope so!